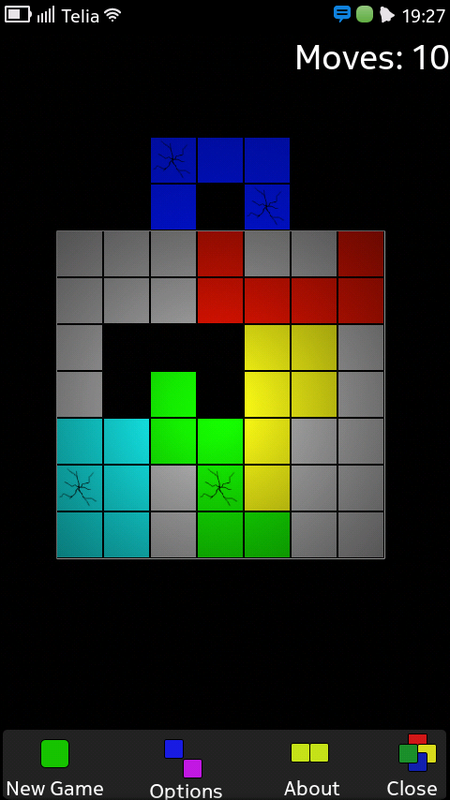 Simple puzzlegame for Nokia N9. 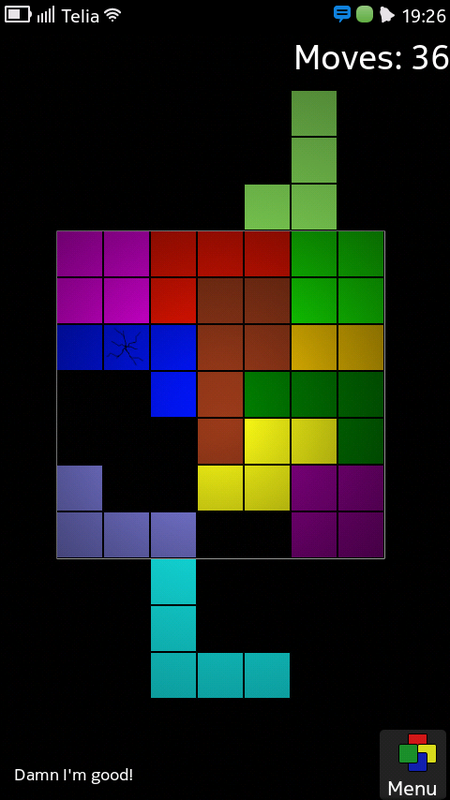 Move all the blocks into the square and arrange them so that they won't overlap any other block. 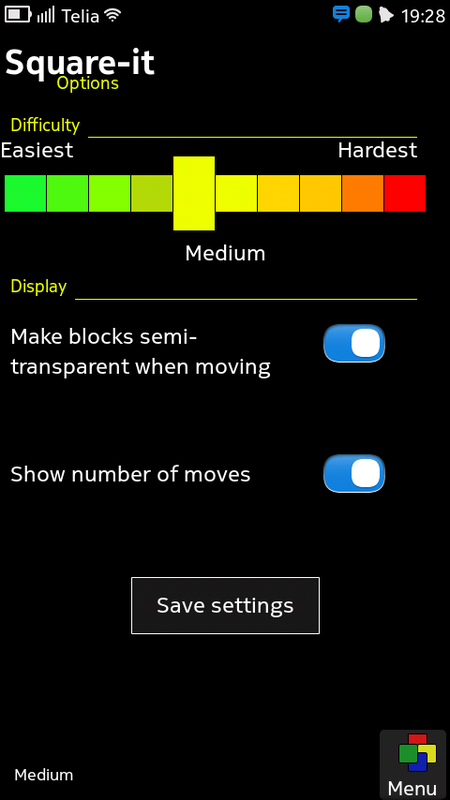 Gray blocks cannot be moved.